Worcester Park Library was one of the winners in the Participatory Budgeting event held this morning at Cheam High School. 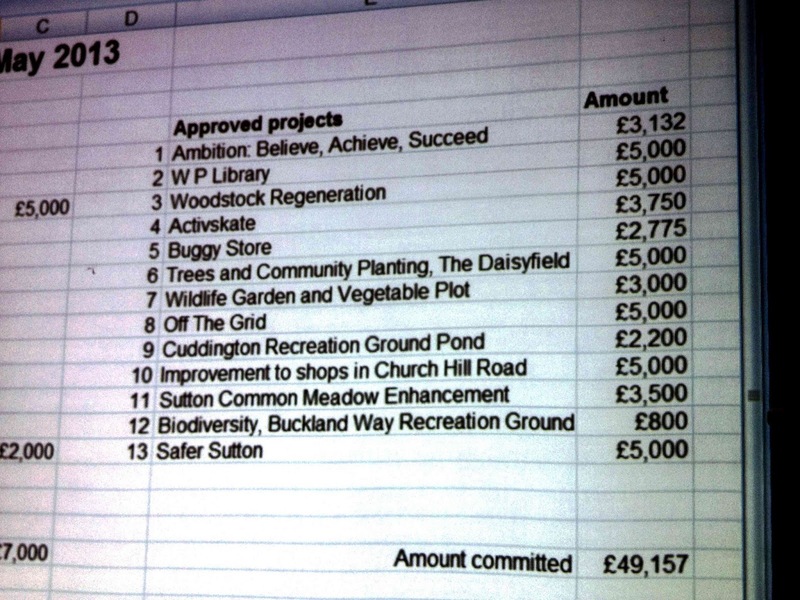 The Friends of Worcester Park Library won £5000 towards a proposed Library Garden however the blog understands that £50,000 will be needed for the development. Apparently the Friends group have already got their eye on a grant from City Hall but this will need to be match funded so they still need to raise another £20,000 before they can apply for the matching £25,000 from Boris. 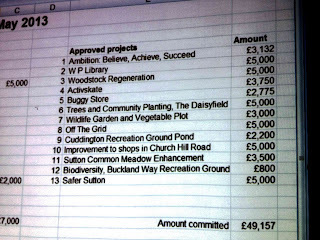 The Library bid was second to win and one of three Worcester Park specific bids which were successful. The other two were both bids from Sutton Nature Conservation Volunteers. One was the creation and management of a pond in the established nature area in Cuddington Park including some ecological sorting out of the area and the other was the creation of a wildflower meadow strip and hedge improvements in Buckland Way Recreation Ground including a wildlife habit adjacent to the allotments. A total of £50,000 was up for grabs and this was allocated by local residents voting for the various bids having watched a short presentation from each bidder. 13 out of the total 15 bids were successful. Sutton filmmakers missed out on one of their two bids for series of films on Sutton and it’s history, and Church Hill, Abbots, Priory Residents association (CHAPRA) missed out on their bid for replacement trees in Church Hill Road.